PARLIAMENT – The newly confirmed Committee changes on standing Committees have exposed the division in the probe into the closure of the seven defunct banks by Bank of Uganda, with some MPs loyal to Abdu Katuntu opting for other Committees. In the new changes announced by Ruth Nankabirwa (Government Chief Whip) on behalf of NRM, Ibrahim Ssemujju (Opposition Chief Whip) and Andrew Aka (Leader of Independents), some of the MPs opposed to leadership of Mubarak’s Munyagwa as Chairperson Committee of Commissions, Statutory Authorities and State Enterprises (COSASE) opted for other Committees. In the new changes, COSASE will have new faces including; Bonny Okello, Micheal Bukenya, Mugaba Dononzio, David Abala, Mwine Mpaka, Prossy Akampulirwa, Judith Babirye, Allan Ssewanyana, Ssemujju Nganda, Paul Mwiru, Muhammad Nsereko, Kato Lubwama, Muchael Mabanda, Stella Kiiza among others. However, those not bothered by COSASE leadership fiasco like Sheila Mwine, Moses Nagwomu, Abraham Byandala, Medard Sseggona among others kept their spots on the Committee. Notable of the figures in protest of Munyagwa leadership are Katuntu who joins Rules Committee, Elijah Okupa, and Andrew Aja opted for Natural Resources Committee, while Francis Takirwa is now on HIV/AIDs Committee after throwing in his towel at COSASE. In the other changes, Amos Lugoloobi retains his position as Chairperson of the Budget Committee and would be assisted by Patrick Isiagi, with Ignatius Wamakuyu having been fired after he was named in the Shs8Bn OPM land scandal. Some of the new faces on Budget Committee are former Leader of Opposition Winfred Kiiza and Gerald Karuhanga who leaves the Public Accounts Committee where he served as Vice Chairperson. Equal Opportunities Committee also witnessed shakeup in its leadership with Hellen Asamo and Ribina Rwakoojo eating big after Muhammad Nsereko lost favour with his former party, NRM. The HIV\AIDs Committee also witnessed some changes after NRM named Wamala Namboozo as Chairperson having initially served as Vice Chairperson with Yoweri Ssebikali coming on board as her assistant after Judith Alyek was booted out. The changes stretched further to the Human Rights Committee where Jenifer Egunyu and Agnes Taaka were named as Chairperson and Vice Chairperson coming in to replace Jovah Kamateeka and Sophia Nalule. Notable on the new faces on the Human Rights Committee is Angelline Osegge who has been serving as Chairperson of Public Accounts Committee PAC. On ths Committee of National Economy, the leadership has remained intact with Syda Bbumba and Lawrence Bageka all retaining their positions until 2021 and will be joined by Reagan Okumu who served as Chairperson PAC Local Government. 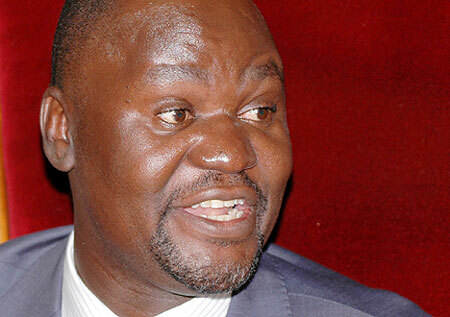 Although the Public Accounts Committee has retained most of their members, Michael Tusiime a Katuntu loyalist left COSASE for PAC with Nandala Mafabi and Okin Ojara serving as Chairperson and Vice Chairperson respectively. There was only one change on Rules and Privileges leadership after NRM chose to retain Ongalo Obote and bring on board Makmot Otto to replace Agaba Abasi with Katuntu and Bugiri Municipality MP Asumani Basalirwa coming on board. Additionally, Appointments Committee too has new faces with Nsaba Buturo, Agaba Abasi, Dorothy Azaire Dorothy, Patrick Nsamba and John Baptist Nambeshe joining the team that would be headed by Speaker Rebecca Kadaga and Deputy Speaker Jacob Oulanyag. Yet the Opposition declined to designate members on the Appointments Committee with Ssemuju asking for more time for FDC to make consultations yet Moses Kasibante was named to the same Committee which is why Speaker rejected Ssemujju’s plea to have Kasibante’s name withdrawn from Appointment so as to take his place at COSASE as Vice Chairperson. Public Accounts Committee Local Government also scooped some members from COSASE like Judith Nabakooba and Florence Namayanja who will serve under, Franca Akello Chairperson and Gilbert Olanya Vice Chairperson.